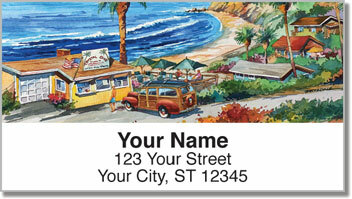 Do you love surfing, beaches, and all things California? 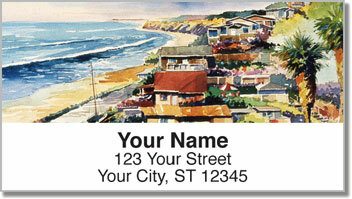 Artist Bill Drysdale, who once studied under an ex-Disney animator, has a wealth of details to enjoy in these gorgeous watercolor illustrations of the Southern California coastline. 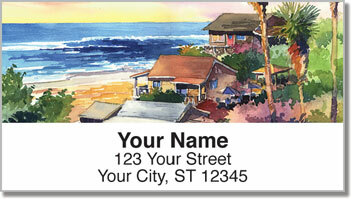 Not only are they fantastic works of art, these address labels have a self-adhesive backing which means that adding a colorful personal touch to your next envelope or package is as simple as peeling and placing the label on your mail. Enjoy the Golden State, even if you don't quite have the time to take a trip. 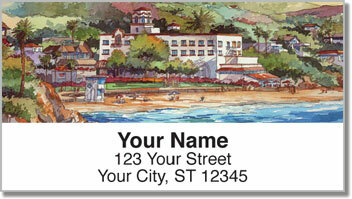 Get these gorgeous address labels right now!